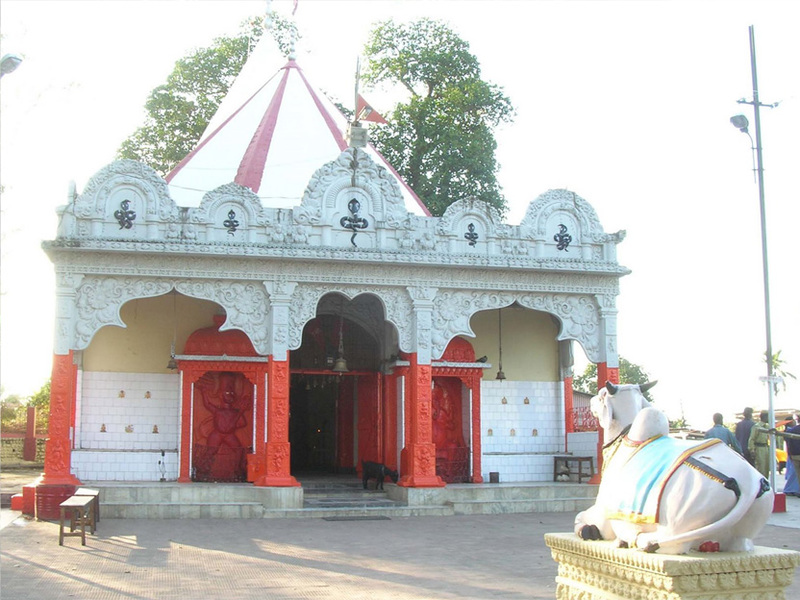 The ancient Mahabhairav Temple is located at a hillock on the northern part of Tezpur town, Assam. This temple is believed to have been established by king Bana in the pre-historical times. This Shiva temple was originally built of stone but the present one was renovated and built with concrete. During the Ahom rule, the kings especially of the Tungkhungiya dynasty donated large area of Devottar land to the Temple and pujaris and Paiks were appointed to look after the temple. The responsibility of management was in the hands of a Borthakur. The temple is now managed by the Government through a managing committee headed by the District Deputy Commissioner. Shivaratri is celebrated in the temple with big festivity and people from all over the country visit it. The Shivratri mela (Carnival ) during the Shivratri week is very famous all over Assam. Bhang (an Indian drug) laddoos, sold as prasad (offerings of the Lord ) are in very much demand. The mela is smaller than that in Sivsagar, but is nevertheless famous.This temple also conducts marriage ceremonies. People usually free pigeons in this temple as an offering, it is a wonderful sight to see hundreds of pigeons in this place. The temple was built for worshiping Lord Shiva by King Banasura. The Shiva linga of this temple is said to be made of ‘Living Stone’ which grows over slowly by the years.Some people believe that Bana obtained his boon while worshipping in this temple. The present structure of the temple was built sometime in the early part of the present century by a devotee and monk Sri Swayambar Bharati, popularly known as Naga Baba. After a few years, another monk Sri Mahadeo Bharati built the “Nat Mandir” close to the temple. After a few years another devotee built the cement-concrete idols of Ganesh and Hanuman as “Dwarpaals” in front of the temple. Since then the developmental works of the temple had been somewhat sluggish although not completely stopped, one major work being the exquisitely curved ornamental frontispiece of the main entrance gate of the temple by a local artist, Sri Joy Das.